Refresh Day Spa is nicely tucked in Orchard Road. 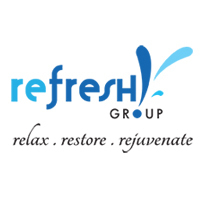 Refresh Day Spa is a wellness centre that provides an extensive menu of superb massages and pampering services to ultimately promote good health at affordable prices. Services range from rejuvenating massages, detoxifying body treatments and clinically-proven facials to name a few. These beneficial perks are coupled with excellent customer service in a modern, clean, and comfortable environment.